From horror movies to haunted houses, humans hold an odd fascination with the frightening. There is something supremely satisfying about being scared out of your wits. Originally known as the Santa Fe Railroad Hospital, the Linda Vista Hospital operated in Los Angeles between 1904 and 1991. When it was first opened, the hospital elicited great excitement, with patients offered access to expansive gardens as well as onsite chickens and Jersey cows. For its first eighty years, the hospital was managed by the Santa Fe Railroad. It served as a treatment facility for the railroad’s many employees. Unfortunately, as these employees began to switch from managed health care to traditional insurance plans, the hospital experienced a significant decline, which was only hastened by a loss of affluence in the surrounding area. 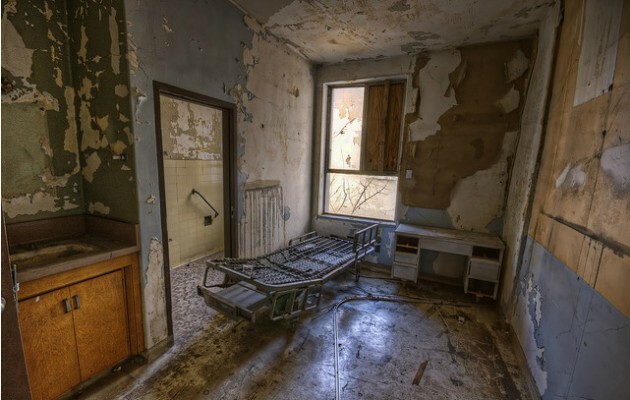 By the early 90s, it was clear that the Linda Vista Hospital could no longer provide an appropriate level of care. Doctors and nurses no longer wanted to work there and patients in dire need of treatment avoided the hospital at all costs. At this point, the hospital had already achieved a reputation for being haunted. It ceased operations in 1991 and transitioned into a prominent set for horror films. In the past two decades, the hospital has served as a filming location for everything from Suicide Kings to Insidious Chapter 2.